Posted In: it burns! It burns! I’m about done (for now, anyway) with my latest rounds of fussing over this website (GaryWOlson.com, for those of you reading this entry from the RSS feed or NetworkedBlogs or what have you, instead of the actual blog). The primary change was a change of template — while I liked the old one, I decided I needed a three-column setup, and that template was fixed at two columns. The one I have now needed a bit of modification (cutting down the way oversized top image, brightening up the text font so it would not get lost against the grey background, assorted other nit-fixing), but I think it’s ready to go. I also changed my mind about creating a whole separate site to promote Brutal Light. On paper it sounds good, but I was imagining five or six books down the line how much maintainance I’d be doing on my six or seven websites — updating the Joomla installations, fixing broken modules, etc. So I’m setting it up so it’ll be within this site instead (another reason for changing to a template that gives me more display options), right about… here. 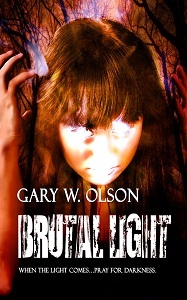 Outside of that, the book trailer for Brutal Light is coming along really well, and should be ready to be unveiled in October. I’m glad to be getting that done, as it means I can get to mapping out all the other promotey stuff I need to do between now and December 1st. 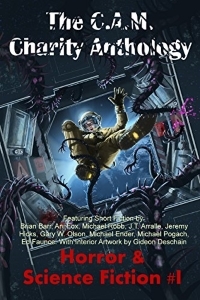 And those two short stories I mentioned a couple weeks ago? Submitted. Productive Gary is productive! The only thing I haven’t done yet is get back to outlining. Which will happen… soon. Yes.